In the new range of products at @Home furnishings catering to all your home décor needs, the Date Leaves Wicker, Gold are one of the popular choices. The product has a length, width and height of 26 cm, 3.5 cm and 148.5 cm respectively. The dazzling gold colour of these artificial date leaves catch the light in the best angle and reflects it. The product is made to resemble date leaves and it serves as a golden rendition of the fronds of a natural date palm tree. There are two strands of leaves attached at the base. The material used in the making of the product is wicker, which is easy to clean, and durable. Often in the modern household, vases are left empty which resounds in the vibes given off by a particular setting. The product can be placed within vases of different sizes to cover up this emptiness. The gold of the product is dazzling in ambient lighting and is bound to get a positive response from guests. 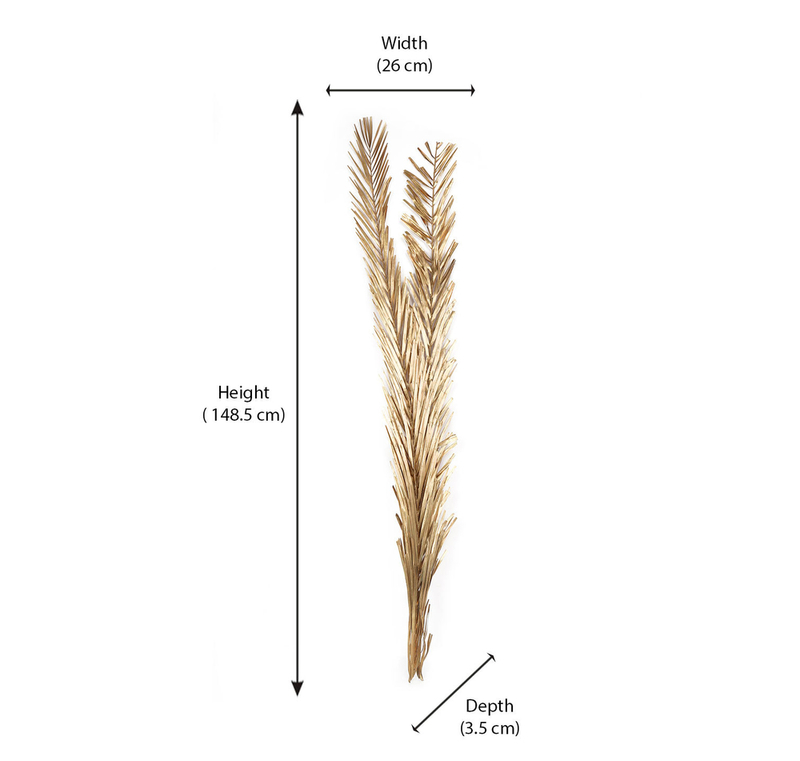 The product brings a little bit of nature into your home my emulating a date palm frond. Buy your own Date Palm Leaves from @Home furnishings made out of wicker to enjoy all these benefits.